Salewa North America, which sells, distributes, and services Dynafit, Pomoca, and Salewa, has hired Eric Henderson as communication manager, where he will oversee media outreach, social media efforts, online marketing, athletes and core related events. Eric Henderson comes with a wealth of experience within the backcountry ski industry, having spent 20 years as a ski guide. Henderson, an AMGA certified ski guide, spent eight years with the Valdez Heli Ski Guides and was the lead guide at the Jackson Hole Mountain Resort. 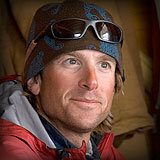 He has celebrated notable first descents in Grand Teton National Park, Asia and Alaska. Eric has spent the last three years representing Salewa/Dynafit at Denny, ink. and will now bring his knowledge to Boulder where he can work more closely with the team to continue to boost sales and awareness. Henderson joins Salewa/Dynafit as communications manager to continue the companys recent success at providing the most innovative gear in the fastest growing sport in the world. I am excited to start a new challenge within Salewa North America and look forward to working with the team to further develop their already extensive product and service,” said Henderson. “After 20 years dedicated to snow science, education, and guiding this is a great opportunity to share my skill set. I am fortunate to be joining such a respected company that prides itself on top quality service. Jim Lamancusa, sales and marketing director, said Hendes wealth of experience and industry knowledge has already made him a key addition to the Salewa family. We view his appointment as a sign of our commitment to being the leading brand in the outdoor industry. Our new innovations and our continued goal to be the best in the industry in sales and marketing support led me to look for an addition to our team who will help us reach our full potential. It is very fortunate that we were able to find someone of Erics caliber to fulfill this role. Im confident that Eric will play a key role in bringing our brands to the next level. Based in Munich Germany with North American Headquarters in Boulder, Dynafit is committed to designing faster, stronger, and lighter gear for ambitious backcountry athletes who never compromise.